← Colorful Sundresses and Sandals to Suit Every Style! The warm, sunny month of July is rapidly coming to an end, and we all know what that means…back to school time will be here before we know it! Whether you’re a parent or child, we know that this can be one of the busiest times of the year. That’s why Office Depot is offering great prices on everything you need for academic success. Plus, when you shop with our merchants, you’ll also earn money for your family and your school—a win-win for everyone! No matter what your age, Office Depot has just what you’re looking for. If there’s a One Direction fan in your household, they’re guaranteed to impress classmates and friends with this limited edition One Direction custom spiral notebook for only $3.99! Office Depot also offers One Direction binders, pens, wristbands, and locker decals so the fans in your home will have everything they need to get excited about school. Plus, when you purchase any limited edition One Direction school item from Office Depot, a portion of the sale will go to Office Depot Foundation’s anti-bullying education campaign. Older students going away to college can find everything they need in the Office Depot furniture section, like this zebra-print metal-framed computer desk with a tempered-glass surface for style and durability. At just $89.99, this fun and modern desk is a perfect fit for dorm life, and strong enough to last all through college. Office Depot even has a section for teacher supplies, including technology, organization and desk supplies, and tools for early childhood education. 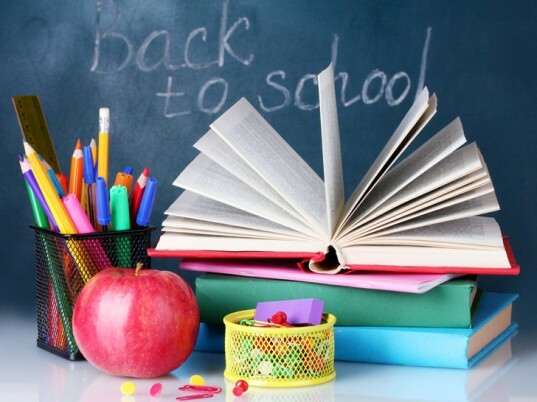 No matter what your age, purchasing back to school supplies early can relieve those back to school jitters and make you excited about the upcoming year. And when you shop with us, you can earn rewards for your school all year-round, making going back that much sweeter!